California's legislators may have all gone home for the summer recess, which often causes life to slow down in the state capitol, but Thursday, July 10 certainly won't be a sleepy summer day in Sacramento. The California State Board of Education will meet that day to determine permanent regulations governing the state’s new Local Control Funding Formula (LCFF) for education. The Board adopted emergency regulations in January, and school districts are now through the first year of implementation and have filed Local Control and Accountability Plans with county offices of education. The goals of the LCFF are to gain flexibility and simplify the distribution of educational funding, and put more decision making in the hands of local school boards. "There are a multiplicity of issues relating to LCFF that are important and deserve the State Board of Education's attention. 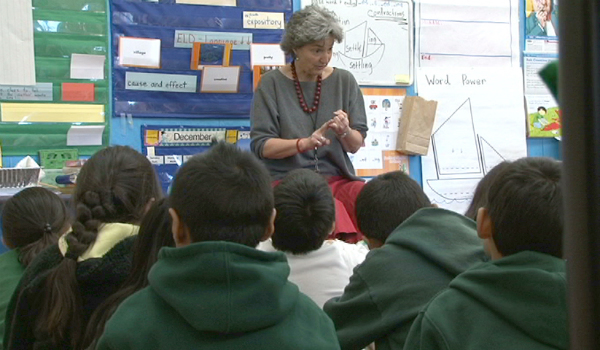 However, as the Board begins to look at LCFF implementation we will continue to emphasize the need for the Board to ensure that the Governor's principle of "subsidiarity" is embedded throughout their decision-making, and that consideration has to be given to recent legislative actions that will influence each districts’ ability to successfully implement their LCAPs." "Flexibility is to transparency what freedom is to accountability. That may sound like an answer on a college entrance exam. But those relationships also are among the principled guardrails of governance reform in CA. Flexibility and transparency are not two ends of a continuum or mutually exclusive alternatives. Under the Local Control Funding Formula, the elected and professional leaders of California school districts must have flexibility in how they spend resources – including the extra dollars allocated to serve disadvantaged students. But this flexibility enables -- and obligates – school officials to communicate clearly how dollars are spent and whether students are succeeding. Historically, school funding in California was infamously complex and opaque – confounding educators who wanted to help children learn and frustrating parents, community leaders and taxpayers who wanted to know public resources were well spent. The State Board of Education has strived to faithfully implement the Governor’s vision for greater local control. The next consistent step is to ensure transparency to enable local accountability."